The first events for 2019!! We begin this year with "Jamuary"! Come jam with us with these awesome events! Purchase any amount of IMPs during this time and you'll get 200% more once the payment has been completed! Purchase any of the following IMP packs and you'll get bonus items! Note6: Only the packs specified above will give the bonus gifts. Note2: Not all payment methods can purchase this pack. Purchase any amount of IMPs over or equal to 1,000 on any payment method in the time period listed above and you will get 15% more Item Mall Points! We've updated the stock in the Item Shop's "Promotion" tab! Check it out and act fast, or these items will be gone! Custom Apparels are back! Get these while you can! For more information on how to obtain a Custom Apparel, check out our guide! Note1: We do not create new custom apparels for you, you are providing us the models and textures to be added to the game. Without the proper files given, your custom apparel delivery may be delayed. Note2: Deliver time for custom apparels may vary. We will try to add them every 2 weeks. Get ready to purchase some of these amazing packages at discount prices! Note1: Unless the package specifically says it, you do NOT obtain IMPs when you purchase a package. Note2: Pouch of melancholy gives you the items to upgrade your existing Rage/Sage weapons into Hydros Weapons(Lv150). All gems will be transferred during the upgrade. Apparels will be lost. Note3: Raid Crystal allows you to upgrade your existing Hydros Weapons(Lv150) into Raid Weapons(Lv175). All gems will be transferred during the upgrade. Apparels will be lost. Note6: Pet Lv Up Card(175) does not include con. Note7: You will get the amount of weapons necessary for your class. I.e, Crusaders 2x and so on. 1.) Each account can only purchase 1 item. Meaning if you purchase a Rage Master Gem, you can not purchase another item. Note2: The items in the sale can only be bought during the duration of each round! Note3: If there are items still remaining in the AC sale after the event duration, they cannot be bought. Note4: If your account purchases an item from the sale in one round, you cannot purchase in another. Note5: Items bought from the AC Sale will not be eligible for the "15 minute refunds"
All exchange amounts are multiplied by 6x! Bonus voting rewards on Sunday will be between 4-5x the amount! Each voting website links to a random account's scout code! Anybody who registers an account will now be matched randomly with somebody who has generated a scout code! Voting will increase the visibility of our banner which will in turn be more beneficial towards you! The auctions have returned! Get ready to place your bids for these awesome items! Note3: Prizes for the auctions will be delivered to the winner's storage boxes 24 hours after each auction ends. Note4: If your account wins one item in Credits Auction in a previous round, you cannot bid in Credit Auction again, but you can still bid in Points and vice-versa. During the above time periods, try out your luck and you'll get a FREE SPIN on any of the lottery wheels. 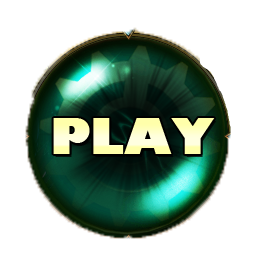 For every 10,000 credits spent on the credit wheel (10 spins), you will gain 1 Free Spin*! For every 500 imps spent on the points wheel (5 spins), you will gain 1 Free Spin*! Note1: You can obtain as many free spins as possible during this time period. Spin the credit wheel 50 times, you get 5 free spins! Spin the points wheel 50 times, you get 10 free spins! Note2: The points and credit wheel will function as normal until the date mentioned above. The page will show a message once the event has started. Note1: Only your FREE spins are being recorded. Bonus items have been added to both wheels! All of the bonus items will have a limited amount and once they are gone, players can no longer redeem them from either wheels. Note1: You can win up to 3 of the bonus items per wheel. If you win the item, it will be delivered to your storage box and the quantity left will decrease by 1. The winning account will be hidden and shown on the side of the wheel page. Note2: None of the items above will be available until the page displays a message that the event has started. For 24 hours, 5 Packages will be added! Note2: There are a limited amount of packages, once they are bought out, they will not appear in the IGS anymore. For 24 hours, 3 additional packages will be added! For 24 hours, you'll be allowed to purchase (Lv6) and (Lv7) Terror Capes for IGS crystals! For 24 hours, you can purchase these exclusive gems in the IGS! We've added a new event, "Material Hunt" to our event lineup! Choose the date that best conveniences you and you can become rich in a matter of seconds! ROSO Team is looking for some rare materials to help us craft some items. We need you guys to farm the items and we'll buy them off of you! Take this chance to farm some not-so-useful items and make a huge profit! Note1: We may or may not visit every stall. Note2: We may or may not purchase all items in 1 stall. Note3: Once we have used up all of our set amount of cash, we will notify you that the event is over. Q & A is back and better than ever! With the addition of our new map "Events Square", this event will now be automated! Check out which times the event will be active and type "/events" to participate! - Once you win a round, you'll be unable to win again until the next event. Note1: First 3 players to get the correct answer in each round will be rewarded with an "Event Reward Tile" . Note2: The rounds showcase how many rounds of the event there will be that day. Word Unscramble is back and better than ever! With the addition of our new map "Events Square", this event will now be automated! Check out which times the event will be active and type "/events" to participate! Drop event is back and better than ever! With the addition of our new map "Events Square", this event will now be automated! Check out which times the event will be active and type "/events" to participate! Obtain letter cards that will spell out certain words and you can win some cool prizes! Note1: If you have "No-Exp Stone" in your temporary bag you will not obtain the +10% exp portion of the reward. To further enjoy this event, during this time period, all players can enjoy a +10% damage boost! The server rates will also be boosted during this time! Note2: The damage buff will not show your stats increased through the stats window. It is applied to the formula calculated that shows the damage done to an enemy/mob. To view it in effect, use the player command "/buff"